If you are looking for best day trips in India than Agra day excursion is the best choice. It is day tripper’s first choice as it involves visit of the world’s most beautiful marble building mausoleum, the Taj Mahal. Agra is located in Uttar Pradesh, which is one of the states in northern India. Agra is accessible by road and train from all the major cities of North India. Day trippers used to use trains from Delhi to get the city of Taj in earlier days but, since new Yamuna expressway has opened for travelers two years back. It is also an obvious choice for traveling between these two cities. We suggest that both options are good to use for day trip to Agra. Train offers meals on board while restaurants are located on way to Agra following Yamuna Express way. If you are a first timer to Agra than you have to take care of your stuff while around the premises of Taj as street hawkers and vendors can pressurize you to buy their products, though one strict NO will solve the problem for sure. Taj has always been an excitement not only for first timers but also for repeaters who come here over and again to adore architecture of Taj Mahal. Though history behind Taj Mahal is also fascinating one as it is said to have built by grieving Mughal Emperor Shah Jahan between 1631 and 1653 in the memory of his wife late Mumtaj Mahal who died at delivering her 14th child at the age of 39 years old. Marble used in building Taj had been imported from Makarana, which is located near Jodhpur in Rajasthan state. It took 22 years for Emperor to erect the world’s most beautiful marble structure with the help of 20,000 artisans including Indian, Persians and Italian, which later came under one of the wonders of the world and continues holding this title until now. Shopping in Agra during tour or after is a good idea and lots of fun as well. Markets of Agra are dotted with leather, marble and carpet shops. One can buy quality stuffs from here whether it comes to any product at affordable price. Restaurants are easily seen here and available with variety of foods ranging from continental, Indian, Chinese, Thai and European. Eating at restaurants in-house start hotels would be an expensive bet for day trippers. Though Taj Mahal is attraction of all season however, it is recommended to visit it during winter months as marble heats up during scorching summer makes it difficult to walk down at Taj complex. It is always good to hire an expert or government approved guide for sightseeing tour of Agra. Because there are so many monuments or places to visit and needless to say that it is meaningful to take guide for city tour. Day trippers are also great admirers of Red for of Agra and the abandoned city Fatehpur Sikri. These two monuments are also picked by travelers on same day Agra tour. Day trip to Agra is recommended all days except Friday as Taj Mahal is closed on Friday. Get Good Discount on Booking of Golden Triangle Tour with Goa . 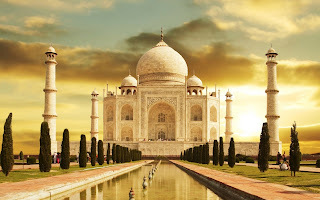 India Holidays - India has a lot of tour and travel spots that pull tourists from round the world. Many tour and travel operators aim at making India tour packages and itineraries that are comfortable and attention-grabbing. There are some common itineraries already out there with the India tour operators that are good and viable decisions for many of the travelers. Treks Himalaya an indoor outdoor trekking and tours operative company takes you that further way to guarantee you has a memorable trip that you have been dream with Treks Himalaya is part of your choice. We have 3 days to 30 days your Nepal trekking trip to choose but it depending of your timetable. We always respect our duty to constantly your Nepal holiday. Whether you are looking for a quiet gateway, a memorable outing with a family or an exciting nature. We specialize in organize Nepal travel activities excursion such as:- Trekking, Helicopter Tour, Peak Climbing, Mountain Flight, Honeymoon Tour, Sightseeing, Rafting, Jungle Safari, Pilgrim’s Tour, Hotel Reservation, Air Ticket, Tibet and Bhutan Tour many more.